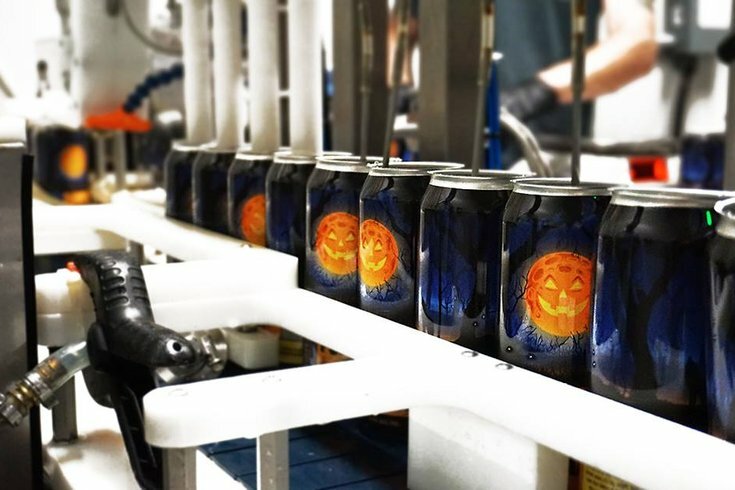 Iron Hill Brewery & Restaurant's 2018 Pumpkin Ale, seen here being being canned, is one of the six pumpkin beers PhillyVoice recommends craft beer drinkers try this fall. Yep, we in Philadelphia are still slogging through 80-degree days and one of the most humid, rainy Septembers ever, blasting the A/C even as we approach the official start of autumn this weekend. Though the weather doesn't quite fit the upcoming equinox, don't let that stop you from getting in the spirit with some seasonal beers that emphasize one of the truest emblems of fall: the pumpkin. 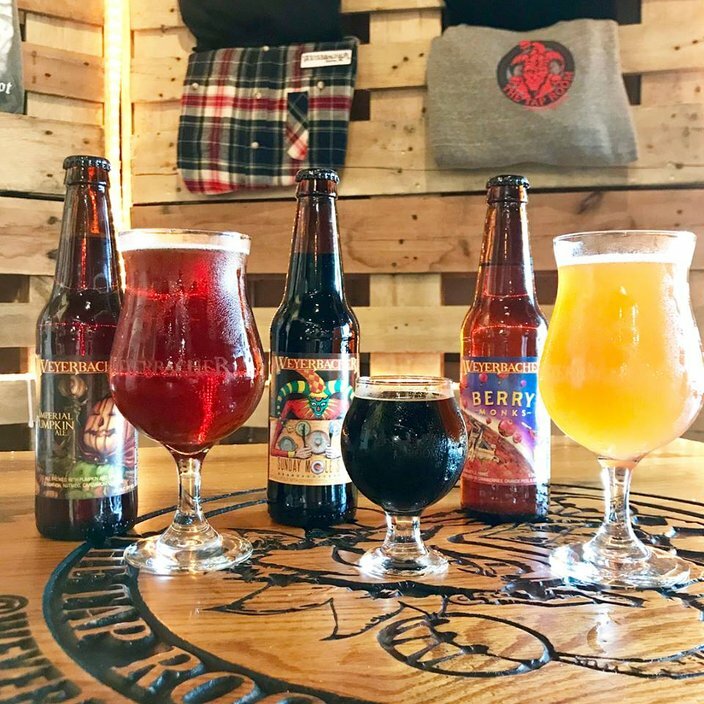 Staples such as Southern Tier's Pumpking and Avery Brewing's Pump[KY]n are tried-and-true fall must-haves, but let's not overlook the dozens of brews made in and around Philadelphia that commemorate the season and give us a reason to buy (and drink) local. Check out six of our pumpkin beer picks below, many of which you can expect to find at your favorite craft beer bar or bottle shop now through November. Remember: If Starbucks can serve PSLs before Labor Day, you can certainly start drinking pumpkin ales while you plan your Halloween costume. 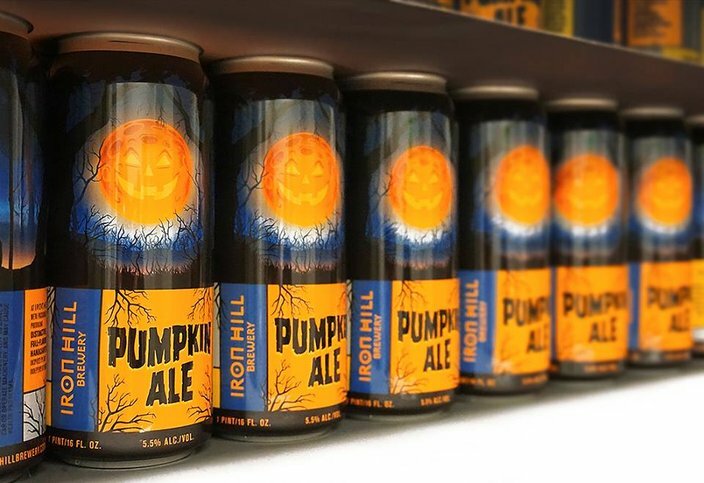 The 2018 cans for Iron Hill's seasonal Pumpkin ale. Iron Hill has a newly minted location in Center City now, meaning now there's a whole new way sample the light, vanilla-cinnamon flavor of the brewpub's annual Pumpkin Ale. You can also grab cans in a 4-pack. Evil Genius' seasonal Trick or Treat porter. Evil Genius does not mess around with its brews, so don't expect any fad-chasing, flavorless fall options here. 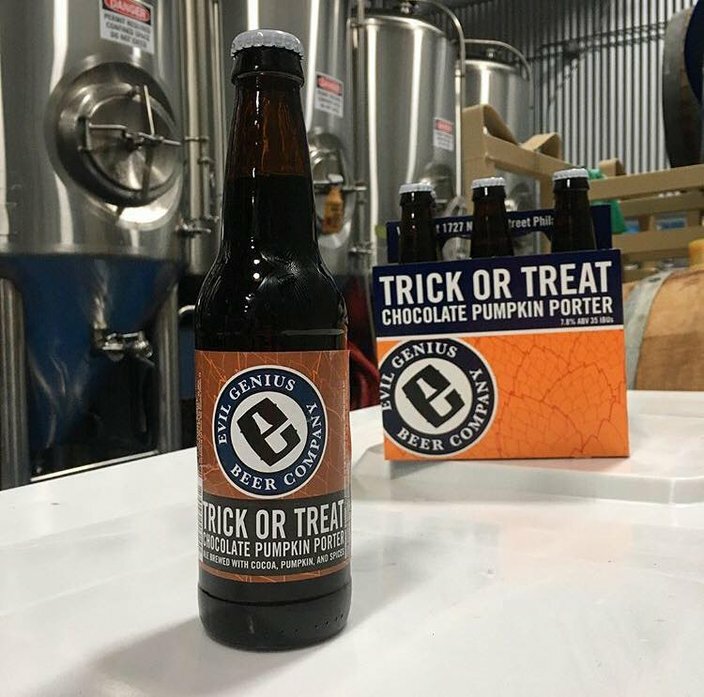 Instead, check out the Trick or Treat chocolate pumpkin porter, brewed with chocolate (obviously) and spices for a dark, robust take on the pumpkin craze. 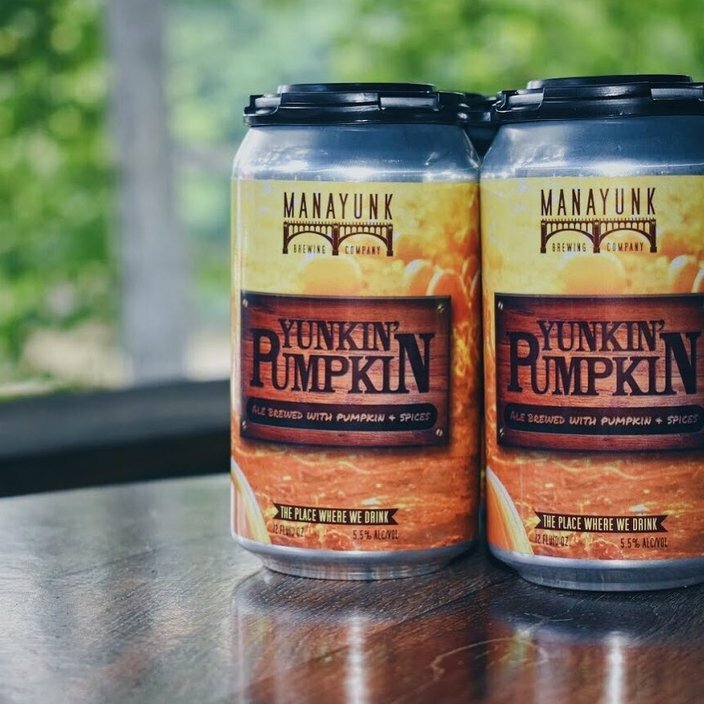 The 2018 cans for Manayunk Brewery's Yunkin' Pumpkin. The Yunkin' Pumpkin is perfect if you're on the hunt for all of fall's spices coming at you full force in one glass. The ale gives off an aroma of nutmeg, allspice, cinnamon, and clove, translating seamlessly to a drinkable dessert. Three of Weyerbacher's seasonal beers. From left to right: Imperial Pumpkin Ale, Sunday Mole Stout, and Berry Monks. Here's a pumpkin ale that packs a punch. With a slightly higher alcohol content than your average ale, Weyerbacher gives us a heartier beer that emphasizes caramel and pumpkin, with just undertones of all the other go-to fall spices. 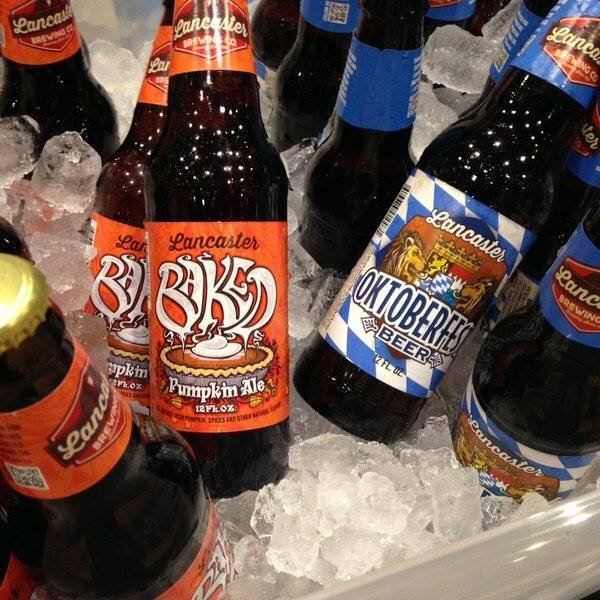 Lancaster Brewing's seasonal Baked Pumpkin Ale and Oktoberfest beer. This local option that takes inspiration from pumpkin pie, emphasizing vanilla flavor and further sweetening the deal with strong aromas of pumpkin spice, brown sugar, ginger, and cinnamon. The end result is a deep amber ale with very little bitterness. The 2018 16 oz. 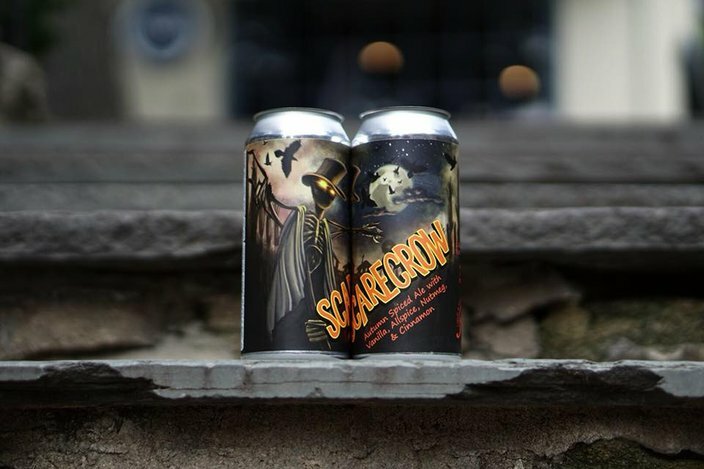 cans for Free Will Brewing's Scarecrow. If you want to get in the autumn spirit of pumpkin season but aren't actually a huge pumpkin fan, this could be a good pick for you. Though brewed with pumpkin spices, including cinnamon, nutmeg, and clove, the end taste isn't too overbearingly pumpkiny, instead giving off some hoppiness and pale malt flavoring.